The Dyson V8 Absolute Vacuum Cleaner is effective, portable and cord-free. It helps clean your house in a jiffy and also makes waste disposal a breeze. The V8 Absolute will clean for up to 40 minutes on a single charge. It offers powerful suction and can switch between Max mode for up to 7 minutes of high power performance and Powerful mode for longer, everyday cleaning. This Dyson vacuum has a soft roller cleaner head for hard floors and a motorized cleaner head to clean carpets. Equipped with HEPA filtration, it also comes with a few smaller crevice and brush tools for tight corners, hard-to-reach surfaces and more. 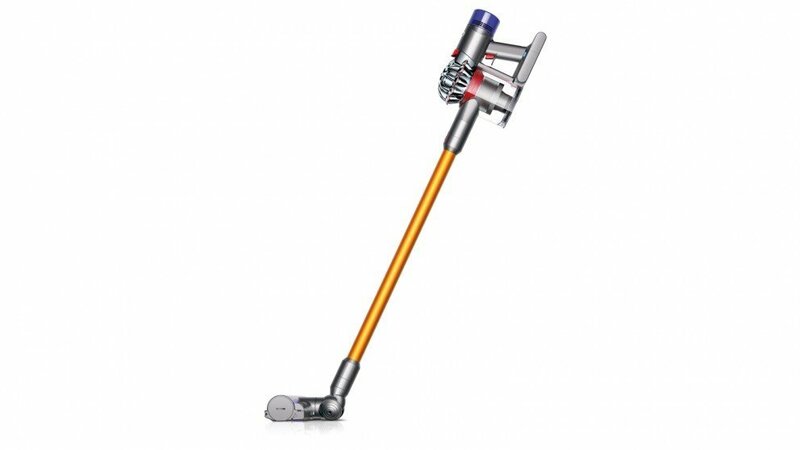 The Dyson V8 Absolute Vacuum was added to the Vacuums category in November 2018. The lowest price GetPrice has found for the Dyson V8 Absolute Vacuum in Australia is $621.87 from Amazon AU. Other merchants who stock it are Amazon AU, Kogan, ozappliances.com.au.